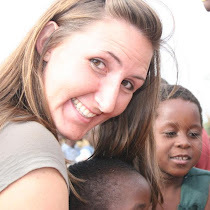 RACHEL'S BLOG: Malawi and Beyond! : Arrived and God is good! Happy July, my wonderful family and friends!!! Today, we are in town at an internet cafe and so I can officially update and say hello to you all! Yay!!! I hardly know where to begin; the past 18 days here in Malawi have gone so fast and yet it seems like I have been here forever! : ) I apologize for an update being so delayed, but we officially were only allowed to get online after about two weeks, so here I am! The next week and up until now has been full of our ministry teams going full force! : ) I have had a the priviledge of going into the village of Mtsiliza and spending time with the widows and their children multiple times a week for the whole day! The joy and songs of Christ's love that overflows out of these amazing women is truly a testament of His grace! Ahh, I am running out of time and have SOOOO much I would love to share with you all, but I will leave with this; God is so good and even though there have been struggles and don't get me wrong, there has been...it is amazing to see Him working in not neccessarily the ways we would even expect. One of the Malawian staff shared with us last night from the story of Elijah and how God does not always come in the earthquake and clouds, but in the gentle whisper on our hearts! I pray that you are all doing well and listening to His voice on your heart today! I am so excited about this!! Your birthday sounds so exciting! !